Posted on November 26, 2018 by David Tate, Esq. The Frameworks Institute has developed a toolkit which analyzes problems with society’s view of elder abuse and recommends alternative more effective approaches to discussing elder abuse. The following is a link to the Frameworks Institute, Elder Abuse website page, and a screenshot of the initial website page. Best to you – David Tate, Esq. Posted on November 10, 2015 by David Tate, Esq. You may have heard that the San Mateo County Board of Supervisors this month passed a resolution funding the Elder and Dependent Adult Protection Team “EDAPT” (also sometimes known as or similar to “FAST” or “Financial Abuse Specialist Team” in other counties such as Los Angeles) for two years from the County’s Measure A funding. The initiative is funded with approximately $3.13 million taxpayer dollars over two years with the funding to begin July 1, 2015 and will run through June 2017. Click here for the link. The comments in this blog are my own. As you may know, I have handled trust, estate, conservatorship and elder abuse litigation cases for over 20 years. I have become a bit more expressive or activist in my comments. These comments are not criticisms of anyone who is trying to combat elder and dependent adult abuse. But the fact is that resources are inadequate to identify and then to stop and remedy abuse. And although resources will always be inadequate, one resource, private attorneys, is entirely or almost entirely unutilized in this battle. Until entities that receive reports of abuse arrange for a procedure to refer cases to private attorneys there is absolutely no way that those agencies, including Adult Protective Services (APS), the District Attorney, the police, county counsel, etc. can come close to protecting the abused and remedying the damages that they suffer. In fact, the link above seems to indicate that the new EDAPT initiative is primarily a community educational program, which does not involve legal or court system remedies. Let me provide you with a quick example that should help to explain the situation and the grossly inadequate resources. The Link above states “Research shows that for every one case of older adult abuse [note that this apparently does not include dependent adult abuse] that is reported – there are another 24 that go unreported.” The link also states “Reports of older adult abuse have been on the rise as the county’s older adult population continues to grow – which is estimated to grow by over 70% by 2030.” I don’t know how many incidents of abuse Adult Protective Services receives in an average month in San Mateo County – maybe one of my readers will respond with the average monthly number. 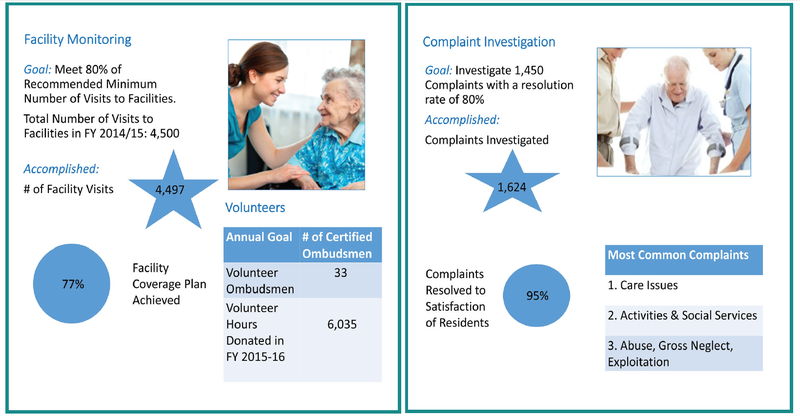 Let’s just say that in an average month APS receives 30 reports of elder or older adult abuse (again, we are not even counting the additional cases of dependent adult abuse reporting). I suspect that the reports exceed 30 per month; however, if research indicates that for every report of older abuse there are another 24 that go unreported, that would be 30 x 25, or 750 incidents of adult abuse in an average month. Do you know how much time and effort it takes to stop and then remedy just one case of elder abuse through the court system? Well . . . that number does vary from case to case, but I can tell you that based on my experience in my cases, the number of hours is huge and the time (i.e., months or even years) that it can take also can be staggering. I can also fully confirm that abusers actively fight legal actions that are brought against them. They know or believe that resources are limited and inadequate, and that they might stand a reasonable chance of beating the system. The new initiative is for two years, at an average funding of roughly $1.5 million per year. The funding started July 1, 2015, so we already have 3 months done in the first year of the initiative. I have been looking for a detailed two-year plan for the initiative – perhaps one of my readers can tell me where I can find that plan. I have written and videoed about this topic before, and the inadequate resources. Again, I fully support the efforts of everyone who is fighting elder and dependent adult abuse, but let me say that resources are inadequate, and you really, really need to bring vetted private attorneys into the effort through referrals or by whatever means makes the report receiving agencies (i.e., APS, etc.) comfortable. Posted on June 23, 2015 by David Tate, Esq. Short and sweet. I’m not sure what the wording should be, but we need a law that to some extent protects a person from being disinherited for filing a petition for conservatorship. The situation that I have in mind: a son or daughter files a petition for conservatorship of their mother or father. In doing so, the son or daughter risks that mom or dad will be very angry with the petition and will seek to change their estate planning to exclude or disinherit the son or daughter. There needs to be some protection for the son or daughter, whether the petition for conservatorship is granted or not. I’m not saying that I favor conservatorships. A conservatorship can be a serious restriction on a person’s constitutional rights and freedom. All I’m saying is that a son or daughter should not have to fear possible disinheritance for filing a petition for conservatorship in a situation where there is no finding that the petition was filed in bad faith or where there is evidence that a conservatorship might be necessary even if less restrictive options are available. Dave Tate, Esq. (San Francisco and California), click link to this blog, Law Office of David W. Tate, and also working with Albertson & Davidson LLP, northern and southern California click link to Albertson & Davidson website.